For the collector who has everything, the Maxam® 12-1/2" Decorative Fixed Blade Knife is a welcome surprise. Stunning wolf artwork is accented with a rustic faux antler handle, creating a treasured work of craftsmanship. 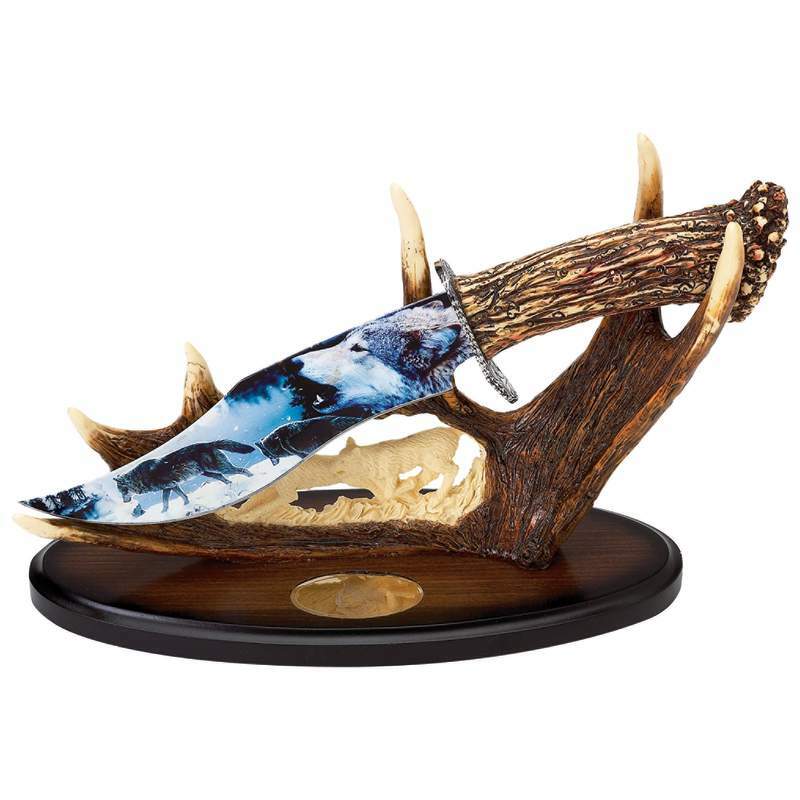 Mounted in a faux deer antler display stand, the total knife display effect is striking. Stainless steel blade. Limited lifetime warranty. Gift boxed.